Chop herbs and garlic and set aside. Heat 3 Tb olive oil and cook mushrooms till tender and golden. Add red peppers chopped up and herbs and garlic and cook for about 2 mins, sprinkle with S&P. Transfer to a bowl and wipe out skillet. Cook ground sausage in skillet on medium heat till brown, drain. 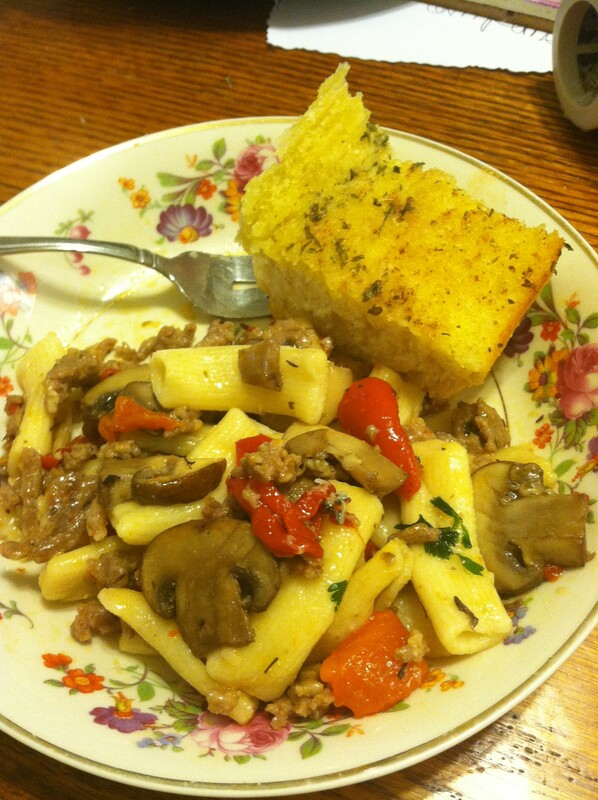 In large bowl combine sausage, mushroom/herb/garlic mixture, red peppers and pasta. Toss with 1/4c pasta water reserved from straining and sprinkle with Pecorino Romano cheese, and manga! My buns sure are looking good! Combine dry ingredients in large bowl. Stir in buttermilk and 6Tb butter into dry ingredients. Blend and transfer to a floured surface and knead, add more flour if too sticky. Knead 8 turns. Roll dough onto floured surface into 12”x10” rectangle. Brush with 1Tb of butter and sprinkle filling over dough, leaving 1” plain border on long side. Press filling gently into dough. Beginning at long end opposite plain border, roll up dough jelly roll style. Pinch border to seal. Cut crosswise into 8 slices. 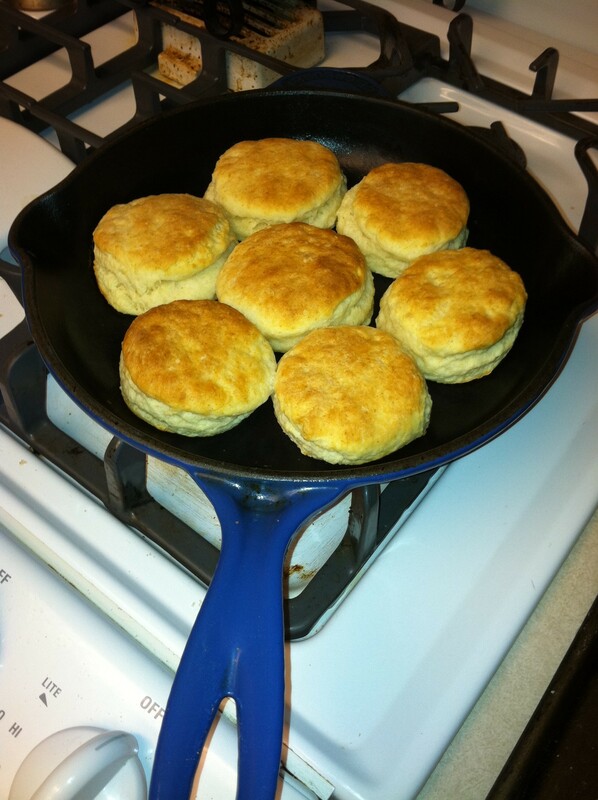 Place 1 bun in center of pan, surround with the rest, spacing apart, allowing for expansion. Brush tops with 2Tb of melted butter, bake till golden brown, about 22 mins. Cool 5 mins and drizzle with icing of: 1 c confectioners sugar, 2 Tb mascarpone cheese or cream cheese, 2Tb of cream or buttermilk, blend well. Two Tara tips: the buttermilk make the frosting taste funny to me, next time I would just use cream. I didn’t have the right pan and used one too large and they spread out too much and were sort of flat, so make sure to use the right pan. 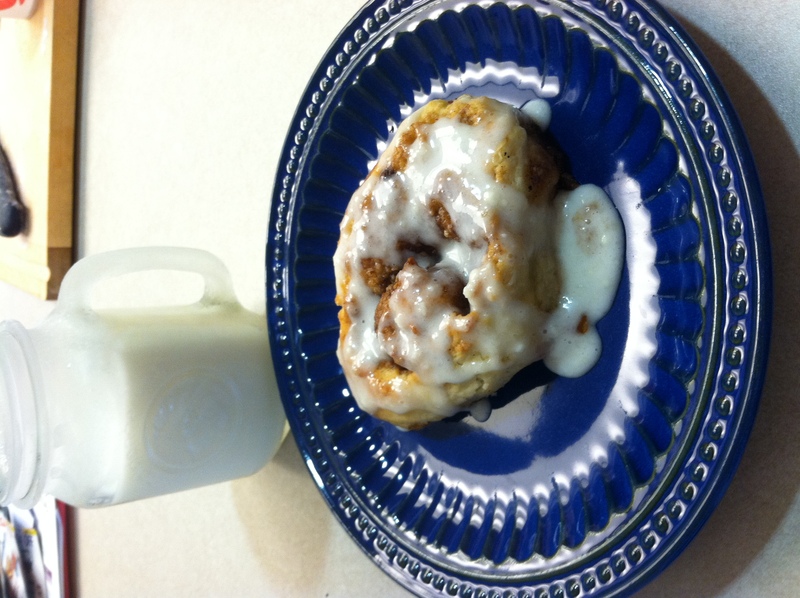 If you have company and want to throw together a quick tasty treat or you just want to spoil your hubby, try this recipe and make some cinnamon buns from scratch that will knock his socks off! Just say NO to biscuits from a can! Cut the stick of butter into pieces and work it into the flour mixture with your hands or pastry blender until it resembles pea-size crumbs. Add the half-and-half or buttermilk, mixing until the dough is a bit loose and sticky. Pour the dough out onto a floured surface and knead for a minute. Dough should be smooth and no longer wet. You can sprinkle more flour on the surface if you find it’s sticking. Make the dough into a ball and hit it with a rolling pin, turning it and folding it in half every few whacks. Do this for a couple of minutes. Roll out the dough until it’s 1/4 of an inch think, then fold it in half. Using a round biscuit cutter (you can use a glass or a cup if you don’t have a biscuit cutter), cut out the biscuits from the folded dough. Place on a greased baking sheet or in a cast-iron skillet close together, about 1/8 of an inch apart (so they rise up not out), and bake for 15 minutes or until the tops are golden brown. You are currently browsing the What Tara's Cookin' blog archives for October, 2011.